😐 first thing in the morning. hunger attacking now. eke phel, shob golpogulo eke phel. Always listen to the experts. They’ll tell you what can’t be done and why. 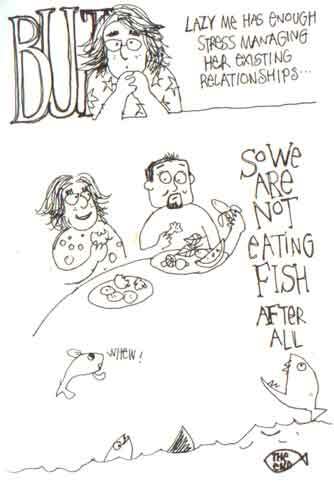 he he .. nice one ..
can’t help you on picking fish myself ..
and you are the best !!!! hey. added you to my blogroll 😀 send notification if you want the publicity turned off. 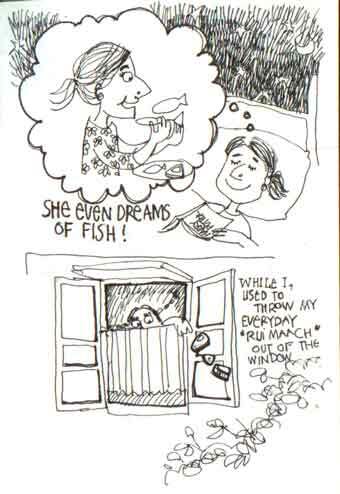 monika > if you look carefully, there are lots of ilish maach strewn around in all the drawings 🙂 I love ilish maach, it’s the only fish i like! t > good one! did you make it yourself? 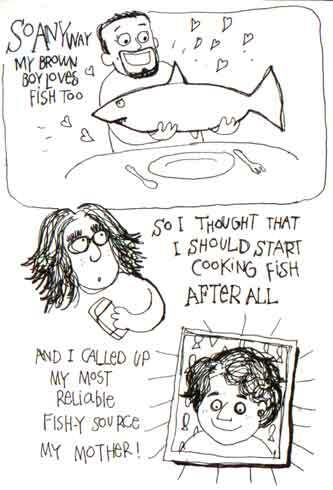 bloggerazzi > that’s what happened to me – that would have been page 6! but i was too lazy (as usual) and left it out! prashant > this time i will! 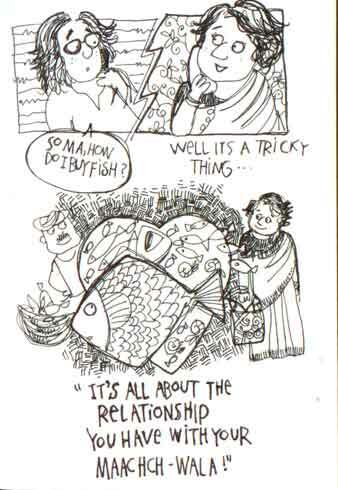 Whackonondo > maybe you should have a relationship with the maachchwala!! 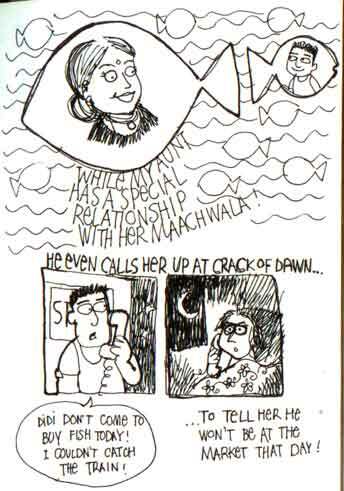 any maach-WALLaS reading this blog? I’m open for a one sided relationship! u cook i eat! Wonderful storytelling! Vivek’s expression in the last frame is priceless!! i keep coming back for more..
not really a loooong time,but tiime seems to strech over when one is waiting for something..
why you are not updating your blog . is some one holding a AK47 on your head? A long time ago it did not happen to me through here that good work. and ecological. Soo, what happened to the thing? hey su….y arent u updating your blog? wherefore art thou???? u do’t know me but i keep checkin out ur blog(s) every now n again. Please educate. 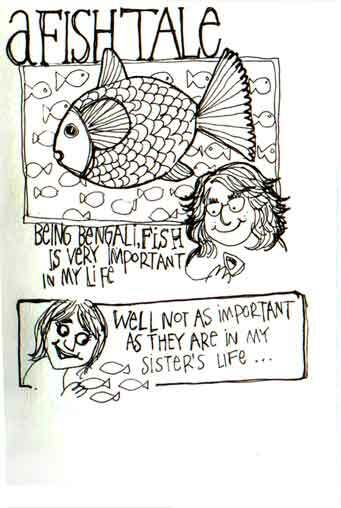 Whats Bethki, Ilish? Dropping by to say hello, and to applaud you on your drawings. I hope all’s well over there. Your fishes have dried… since sept… pls. remove these dried fishes and post some nice and new illustrations.